This is how the entire scenario unfolded: Hollywood pokes Kim in the eye on the playground. Then Kim turns around and beats Hollywood up. Hollywood gets his big brother to take Kim to a back alley in the dead of night and smashes him in the face. Then the name calling starts, the denials begin flying between Kim and Big Brother. In the meantime Hollywood is running around telling everyone that he is a victim and he needs your support. 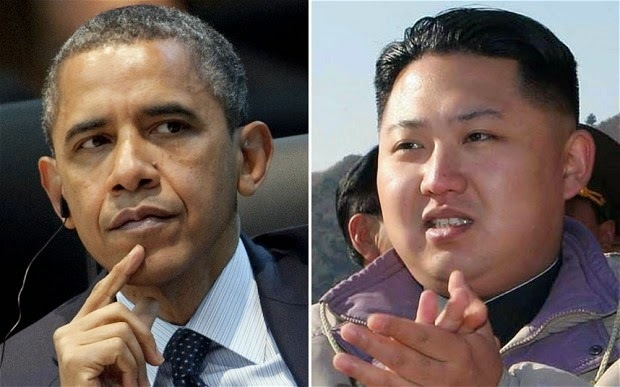 "The FBI does not deny or confirm its involvement in the North Korea Internet shutdown." "The Interview" has been purchased or rented more than 2 million times, Sony Pictures Entertainment said Sunday, making it the studio's highest-selling online movie of all time. Sony said the controversial move, which was made available on Christmas Eve, had netted more than $15 million as of Saturday. Our world has been so turned upside down by victim politics that Hollywood escapes retribution and actually walks away with endless headlines, a new source of revenue and laughs all the way to the bank. What a wonderful world!